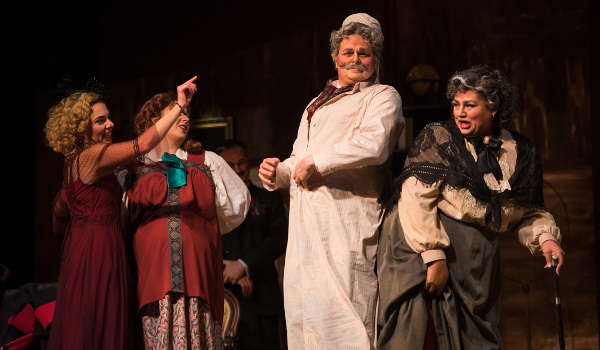 2018 Festival: Gianni Schicchi (the final installment of Puccini’s Il Trittico) is the beloved comic opera about the conniving Donati family's attempts to change their deceased uncle's will for their own gain. Buoso’s Ghost, a contemporary “sequel” to Gianni Schicchi by Michael Ching, suggests that wealthy Uncle Buoso did not die of natural causes. Starring Sean Anderson, Sara Duchovnay, and Kirk Dougherty. Michael Ching conducts, and A. Scott Parry directs. 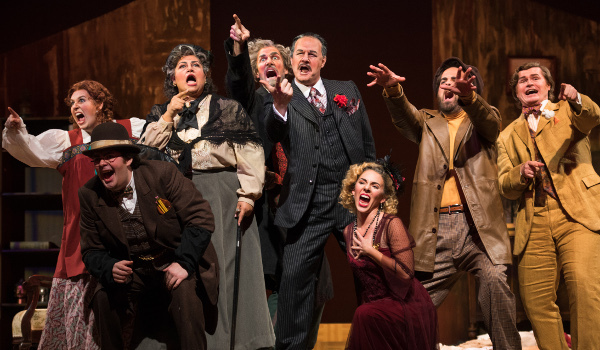 Based on part of Dante’s Divine Comedy, Gianni Schicchi (the final installment of Puccini’s Il Trittico) is the beloved comic opera about the conniving Donati family's attempts to change their deceased uncle's will for their own gain. Buoso’s Ghost, a contemporary “sequel” to Gianni Schicchi by Michael Ching, suggests that wealthy Uncle Buoso did not die of natural causes. 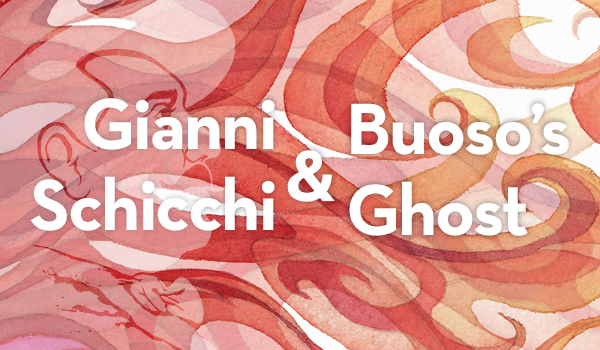 Packed with drama and laughs, Buoso’s Ghost fills out Puccini’s original story and confirms that no one can outsmart Gianni Schicchi! Baritone Sean Anderson stars as Gianni Schicchi, with Sara Duchovnay as Lauretta and Kirk Dougherty as Rinuccio. Michael Ching conducts, and A. Scott Parry (La Cenerentola, 2017) returns to direct. Fully staged at Wilmington's Grand Opera House. Sung in Italian and English, with English supertitles.